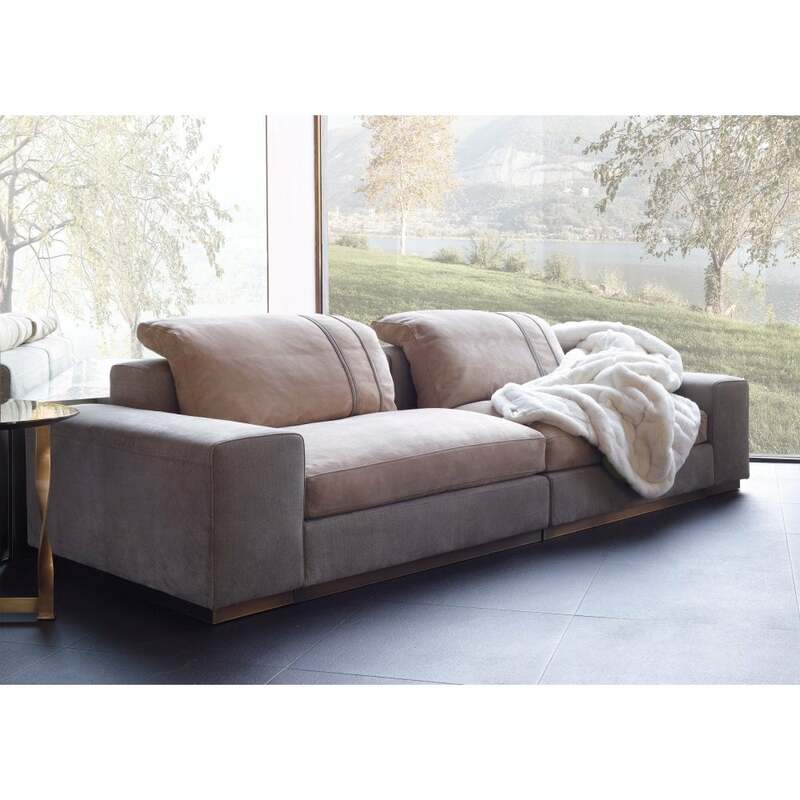 The Miami Sofa by Rugiano Interiors has a versatile, modular design that exudes Italian glamour. Hand-crafted in the Milan studios, the exquisite frame is made of the highest quality wood with a soft padding of polyurethane foam in different densities. Upholstered in the finest fabric and leathers, choose from a wide variety of sophisticated colourways to complement your living room scheme. Miami is comprised of sections and, at your request, can be supplemented with a corner table in a choice of metal or leather. The Miami Sofa set includes decorative pillows. Functional and beautiful, this modular sofa will add glamour to any living room interior. Available in 7 versatile sizes, make an enquiry for more information.